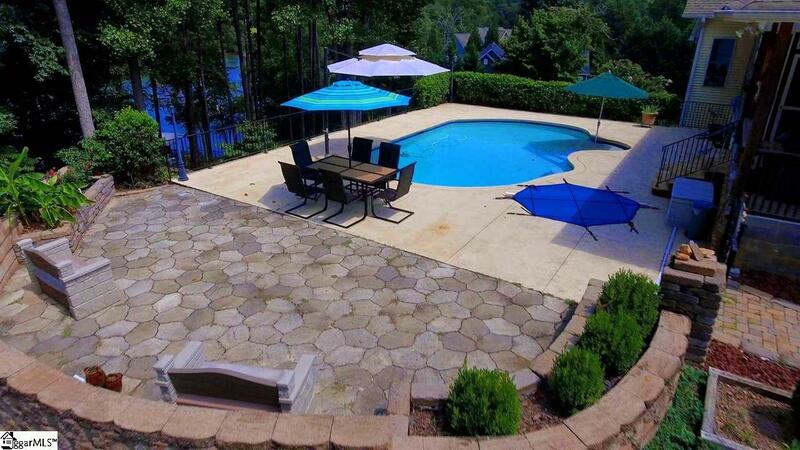 Large Lake Keowee waterfront home with gentle slope to the water and covered dock with lift in place on deep water. 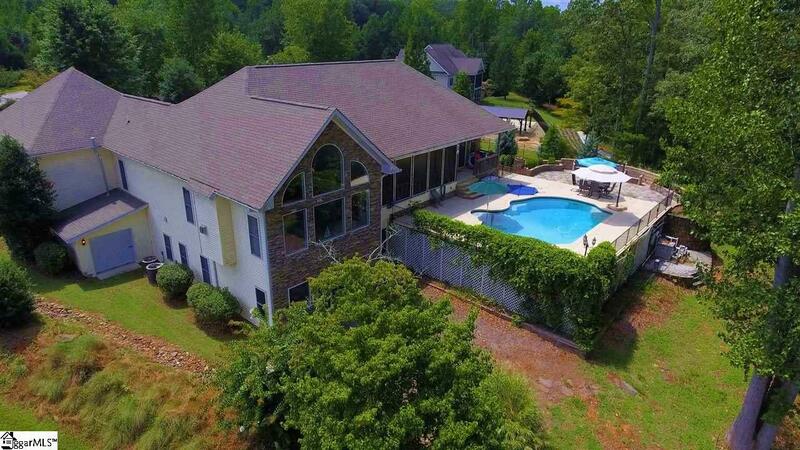 This home is open, airy and inviting with a large living room with a beautiful Lake Keowee view, kitchen and foyer leading out to large screened in porch that overlooks the saltwater pool. Nine foot ceilings throughout. 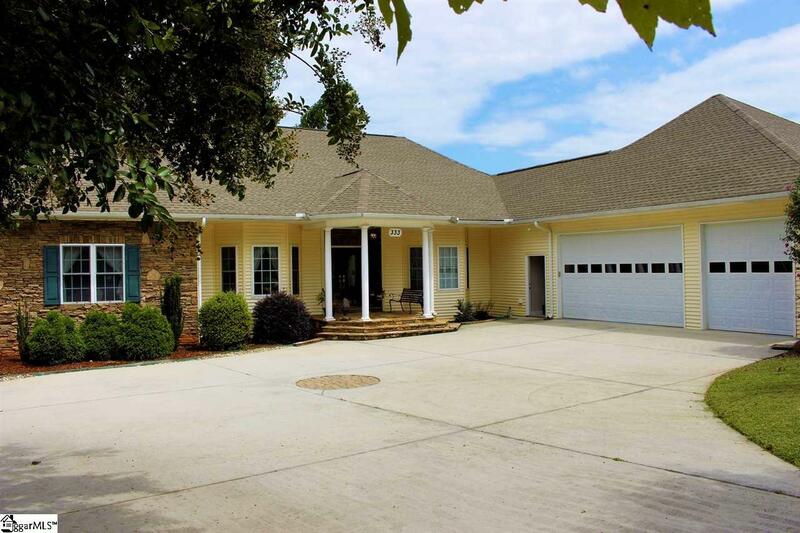 There is an office area as well and a large master bedroom with trey ceilings on the main level and another on the lower level. The master bath suite features a tiled walk-in shower, garden tub, tile floors, his & her vanities and walk-in closet/dressing area. Wet bar on the lower level is a great place for family gathering. Tons of storage space for all your seasonal decorating needs, crafts, hobbies or even can be finished out for an additional living area or bedroom and living area if you so desire. Separate A/C for the upstairs and downstairs. 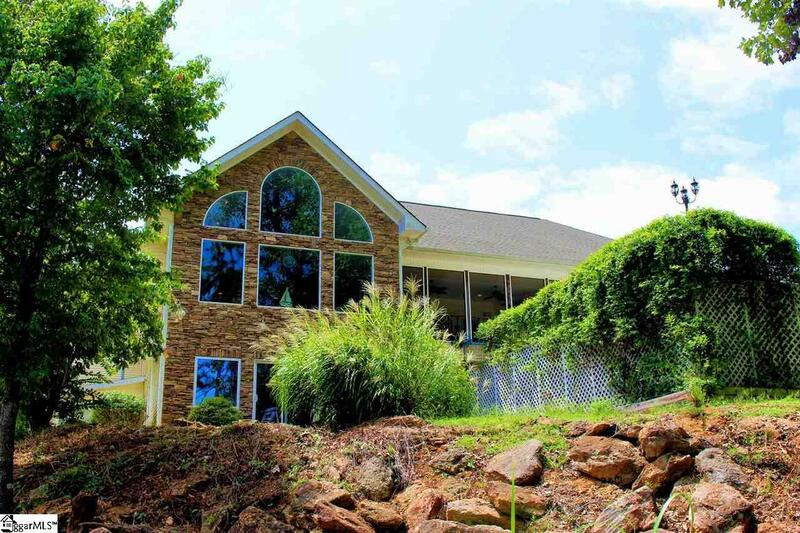 There is a large 3 car garage with utility sink attached as well as rip-rapped shoreline, computer controlled lake water irrigation system, new handrails on new steps and Brazilian hardwood/aluminum covered dock with lift in place. To make taking care of the yard easier there is an attached lawn mower garage. Listing provided courtesy of Mike Roach of .